Senior police officials have rushed to the spot in north Kashmir following the attack. 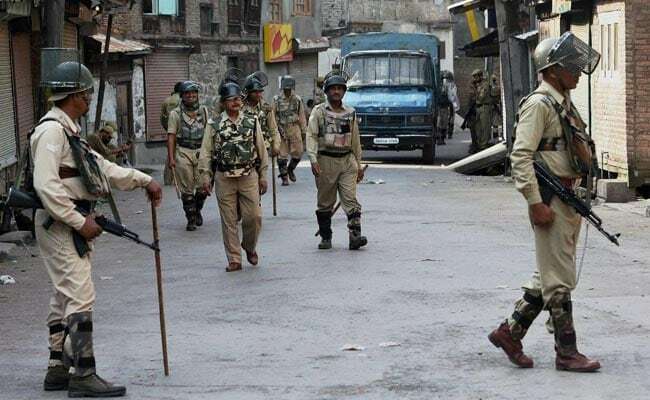 Srinagar: Three boys were gunned down by Lashkar-e-Taiba terrorists in Old Town of Baramulla district in Jammu and Kashmir today, police said. Director General of Police S P Vaid confirmed that three boys were killed in the firing. According to the police, the boys were on their way to Khanpora in Old Town when the terrorists fired nearly 15 rounds at them. A police spokesperson said all the three persons were shot at from a very close range in Iqbal market of Old Baramulla town, killing them on the spot. The deceased, Asif Ahmad Sheikh, Haseeb Ahmad Khan and Mohmmad Asgar, all in their early 20s, were residents of Kakkar Hamam in Baramulla, he said. Police said that 15 rounds were fired on the three boys, who have no track record of being involved in any political activity or intelligence agencies. The spokesperson said preliminary investigation revealed complicity of the Pakistan-based LeT. Director General of Police SP Vaid termed the attack as "barbaric and inhuman" and said the perpetrators will be soon brought to book. "One Pakistan-based and two other local militants of Old Town, Baramulla are the principal suspects in this case and wanted by the law," the spokesperson said. Chief Minister Mehbooba Mufti condemned the killing of civilians. "Distressed to hear of three civilians being killed by militants in Baramulla. My deepest condolences to the deceased's families," she tweeted. Former Chief Minister and National Conference working president Omar Abdullah condemned the attack and said he would like to see how the separatist leaders would react to this "brutal murder of three young people". "Three civilians have been murdered by terrorists in Baramulla just now. I'd like to see the separatist leaders issue the sort of condemnation they usually reserve for when civilians are killed by security forces," he tweeted.